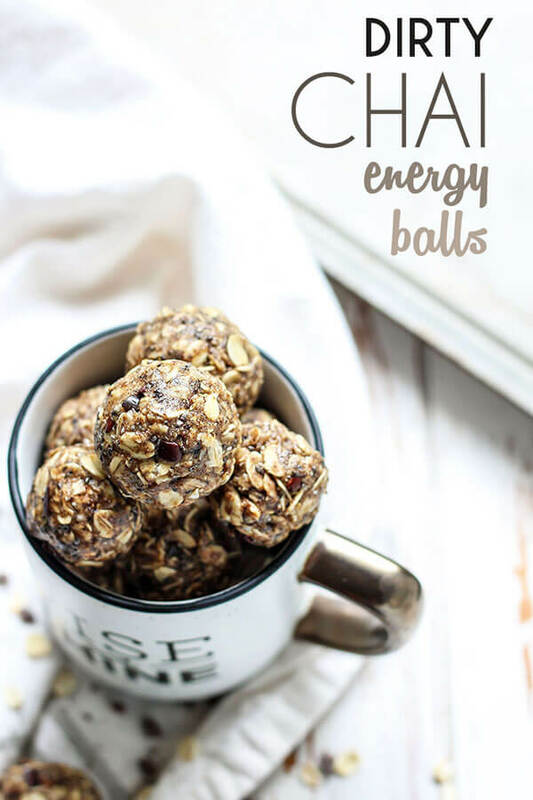 Love energy balls? Learn how to make this easy, healthy snack at home with these tried-and-true tips. 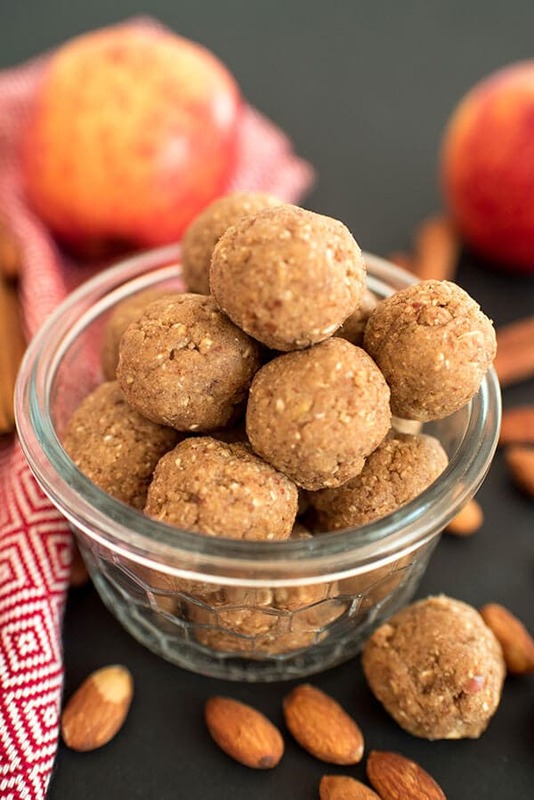 Below, you’ll find 25 recipes for no-bake energy balls, including no-bake peanut butter balls, chai energy bites, and apple cinnamon energy balls! 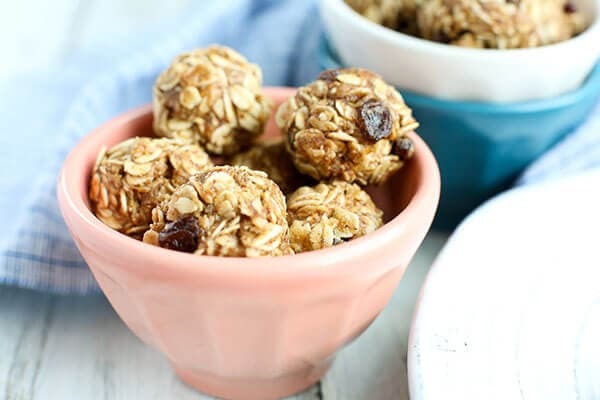 No Bake Energy Balls are easy to make – they’re made (usually) with just a handful of ingredients and are so easy to customize to fit your favorite flavors and your dietary needs. They’re a great healthy snack that you can grab on your way out the door or keep in your fridge at home (or at work if you can trust your coworkers) when you need a pick-me-up. 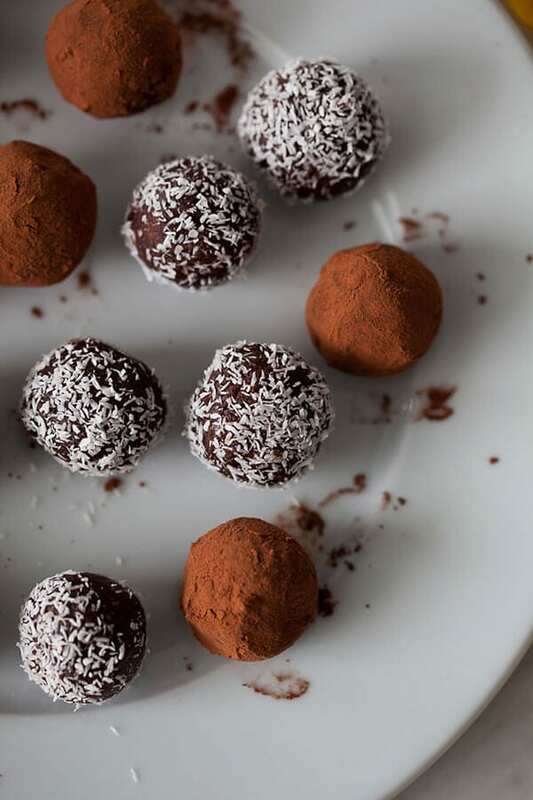 Before we dive into the recipes, I want to share with you some tips and tricks so you experiment and come up with your own recipe for no bake energy balls if you’re so inclined. And, if not, that’s ok too! 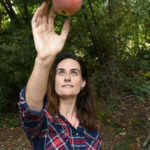 Just click on the “Jump to Recipe” at the top of the page, and it’ll take you down to the Apple Cinnamon No Bake Energy Balls that kicks off the recipe section. 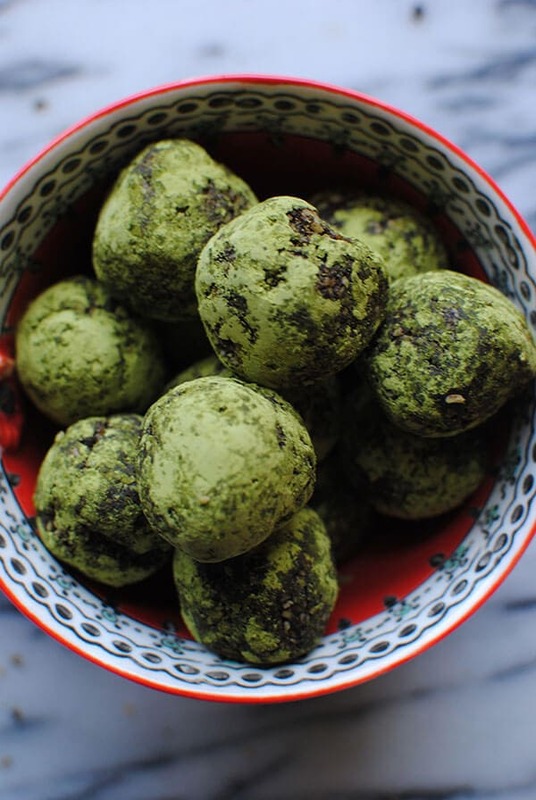 * I have made no bake energy balls without using oats or coconut as a binder, such as in this recipe for Dark Chocolate Matcha No Bake Energy Balls. I added a combination of two very dry ingredients – in that case cocoa powder and matcha – to help hold the mixture together. How much of each ingredient you should use in your no bake energy balls? 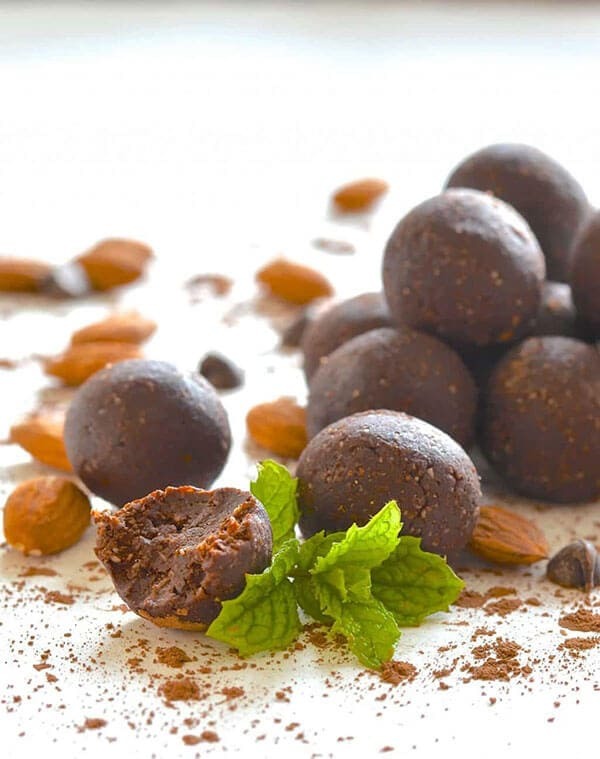 Most energy ball recipes have a ratio of 3/4 binder + protein powder to 1 part sweetener + nut butter (dry to wet if you will) and around 400 grams total of ingredients. I know. Recipe development does involve a bit of math as you need to covert everything to grams to really know the ratio, but as an example (without converting), a recipe that calls for 1/4 cup of nuts, 1/2 cup almond butter, 1/3 cup of maple syrup, 1/2 cup oats, and 2 scoops protein powder has that ratio. If you’re adding fresh fruit to your energy balls, count it in the “nut butter/sweetener” camp. If your mixture has more than 3/4 binder/protein powder to sweetener, the final recipe will be drier. More nut butter/sweetener, and the final recipe will be more moist. The awesome part is that if you feel your recipe is too far in either direction while you’re making it, just add more dates/nut butter or more oats/protein and blend. Just do it a little at a time so you can monitor the flavor. When it comes to texture, one to two tablespoons is sufficient. Spice, up to a teaspoon and a half, but go slowly as spice is easy to overdo. I like to make up my spice mixture before adding them, taste them to make sure I’ve got the blend right, and then slowly add them to the mixture until it’s enough. What Kind of Protein Should You Use? All help with feelings of satiety (feeling full) and with muscle composition. These proteins aren’t the only proteins to choose from, but they are the most popular. If you want me to add some basic info on another protein, or if you have more questions, let me know in the comments! • Whey protein: Is fast-absorbing, so it’s best just after a workout as it aids with post-workout protein synthesis. More on that here. • Casein protein: Is slow-absorbing, so it’s best about an hour before bed. It helps repair your muscles as you sleep and helps prevent you from waking up hungry. • Pea protein: Most vegan protein powders (like the Minimalist Baker covered extensively here) use pea protein as a base. It’s absorbed at a rate between that of whey and casein and, it’s got the same muscle-building effects as whey. Do energy balls actually give you energy? If you want to use energy balls as a quick pre-workout snack, eat one or two a half hour to an hour before your workout. Putting the No Bake Energy Balls together is the super easy part. 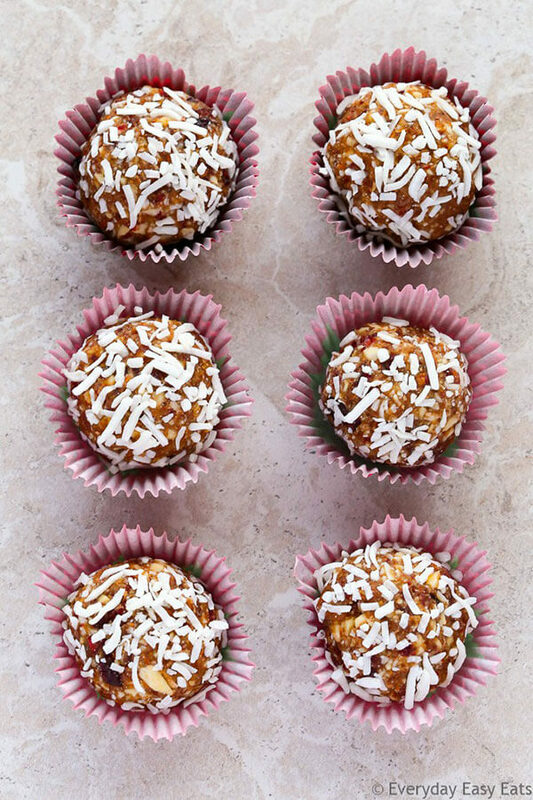 Once you have your energy ball recipe, making them takes maybe 10 minutes. 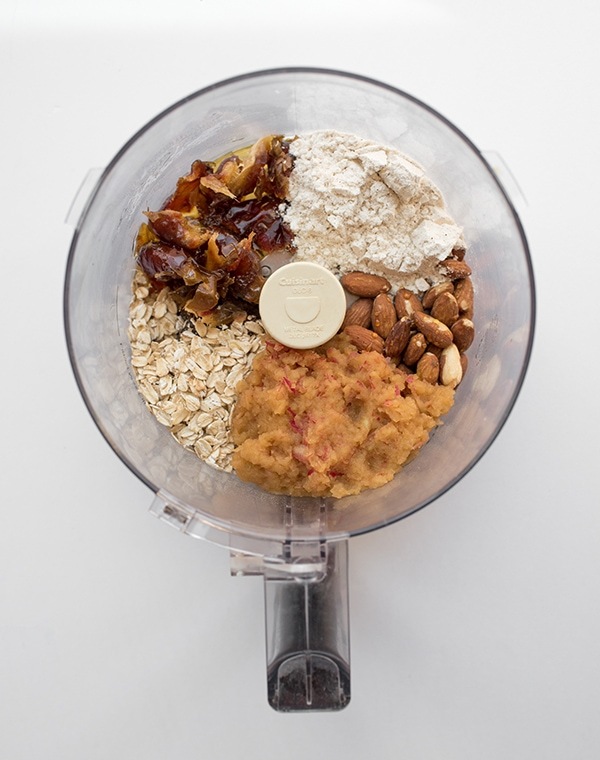 Drop everything into the base of a blender or food processor and turn on until everything is fully combined. Then scrape out the mixture into a small bowl and place this in the fridge for 30 minutes to an hour. This makes it easier to roll. Once they’re ready, roll them into tablespoon sized balls and enjoy! I keep mine in the fridge and usually eat them within 5 days. 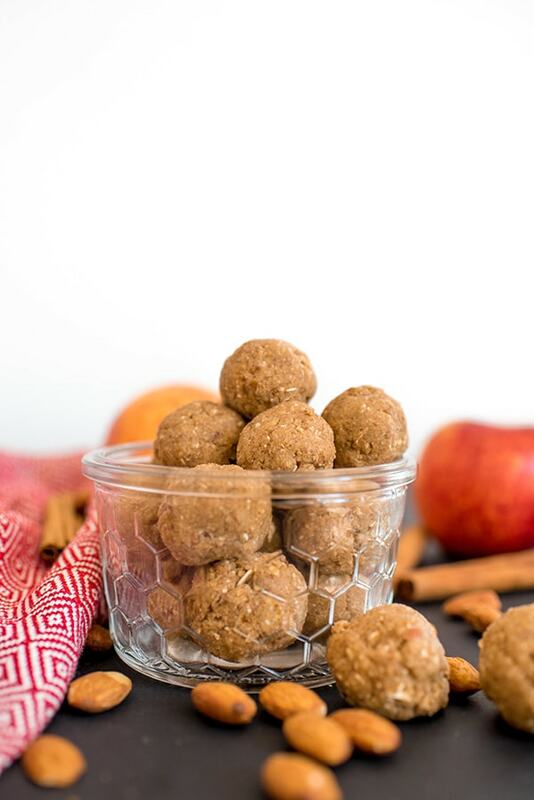 This easy recipe for apple cinnamon energy balls taste just like fall! 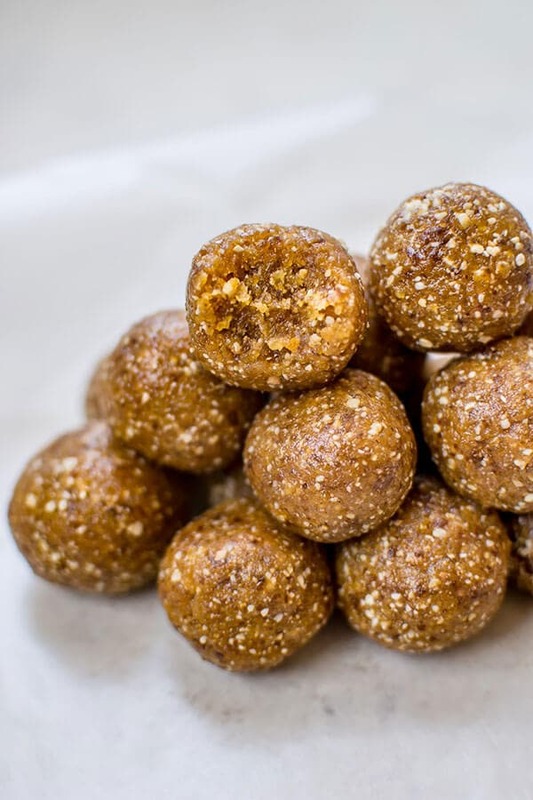 Try them and check out 24 other delicious energy ball recipes. Blend until fully combined and shape into balls. Each should be about the size of one tablespoon. If too hard to shape, refrigerate for 30 minutes. 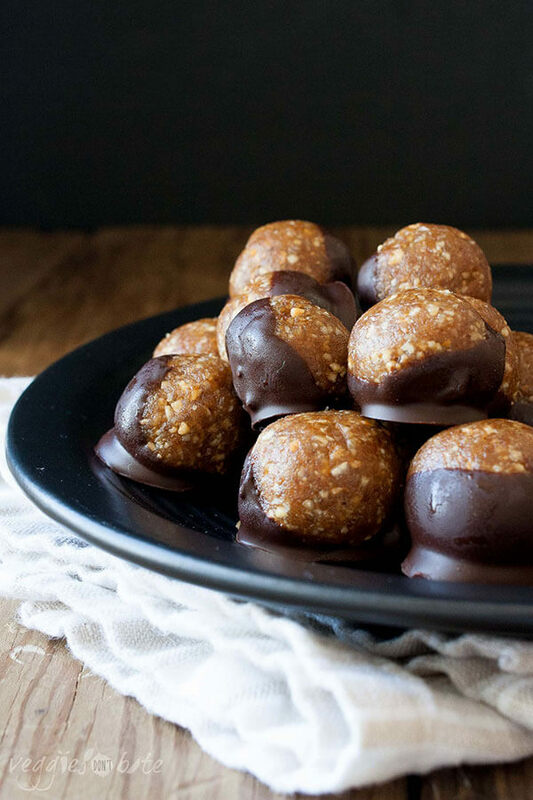 24 More No-Bake Energy Ball Recipes! 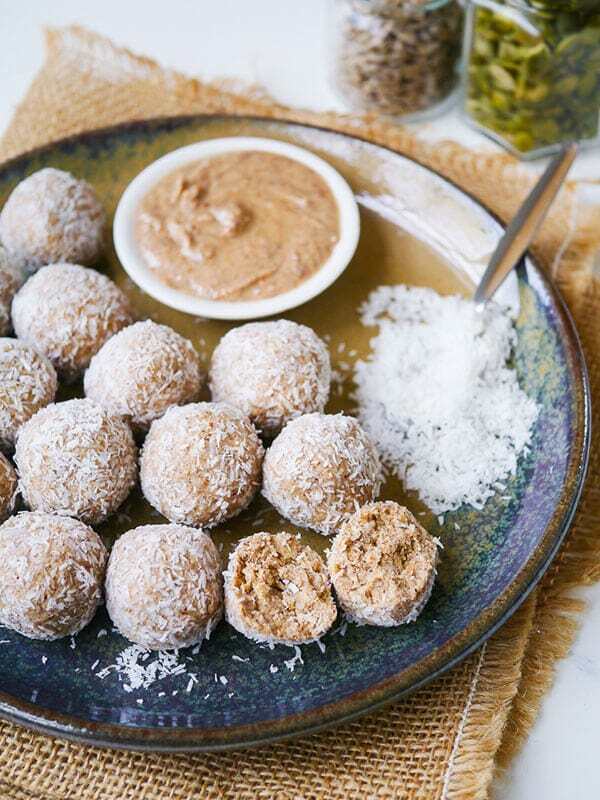 From the classic peanut butter energy balls to versions that taste like chai, matcha, and brownies, these 24 energy ball variations will keep your sweet tooth satisfied. Peanut butter, oats, chocolate chips. ‘Nuff said. 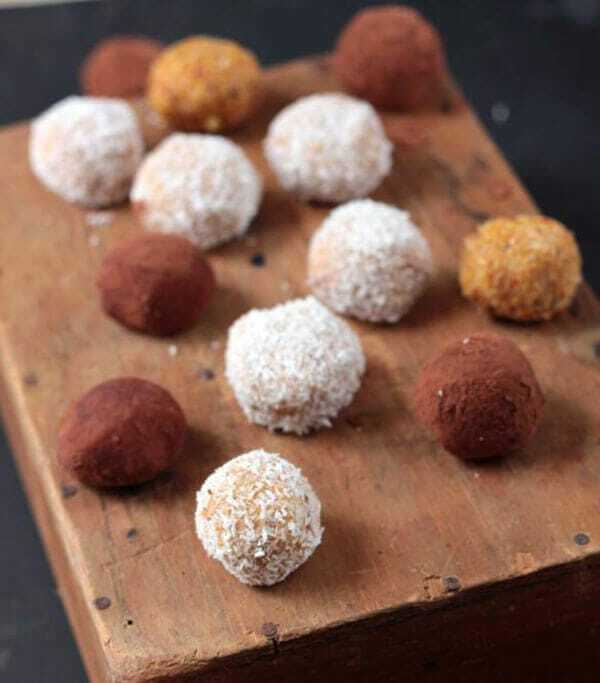 These power balls taste decadent, but are made from dates, almonds, coconut, and cacao. This cozy recipe is perfect for fall! 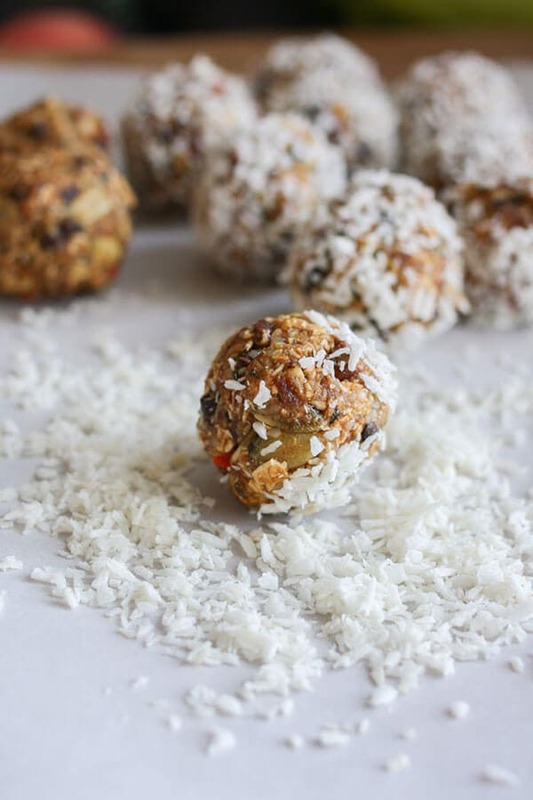 These energy balls are packed with hemp seeds, cacao nibs, goji berries, and more! 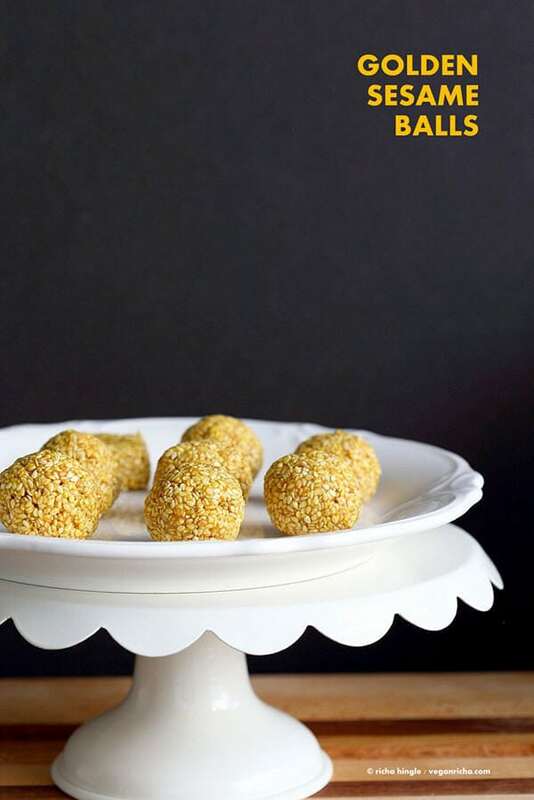 When the holidays roll around, you’ll want a few of these to snack on. Dark chocolate and matcha come together in this rich, decadent, and totally easy-to-make recipe. No Food Processor? No problem. Work those biceps by mixing this one with a spoon. I’m all about oatmeal cookies, so these are totally up my alley. 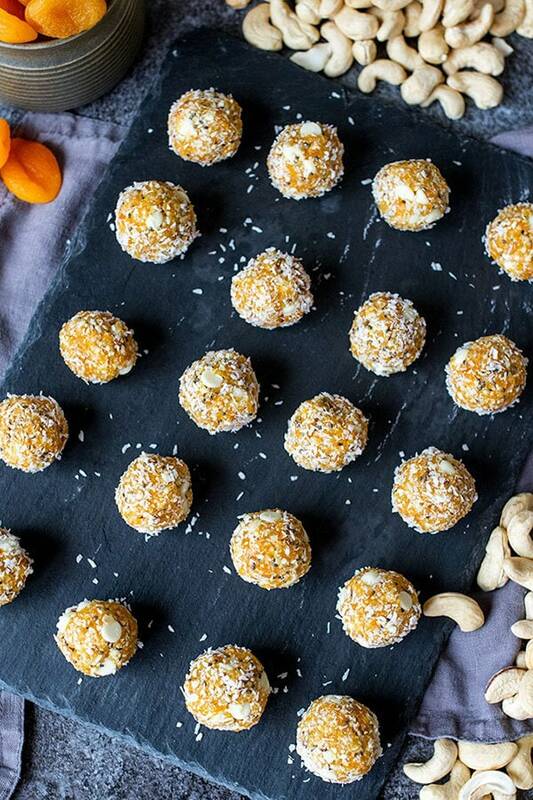 Made with turmeric and tahini (sesame butter) and then rolled in sesame seeds, these vibrant energy balls sound — and look — delicious. 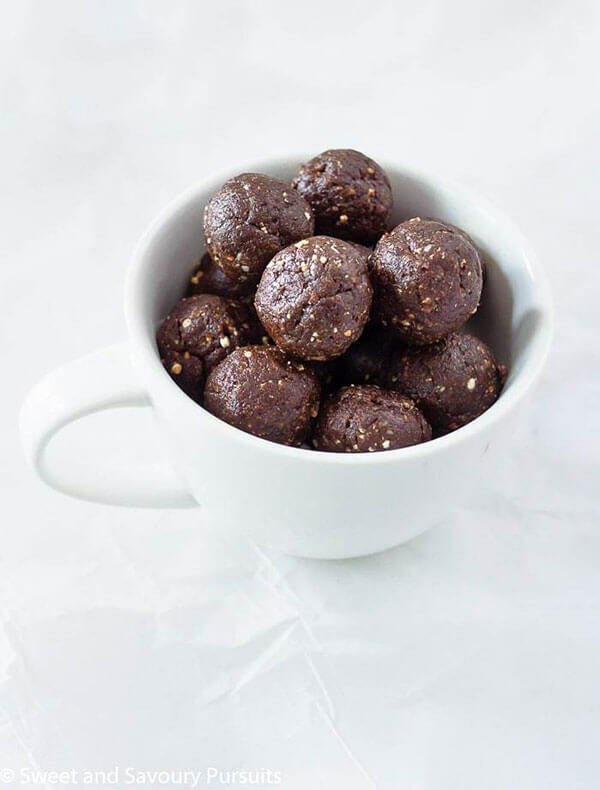 With just three ingredients, this vegan energy balls recipe comes together in no time! Dark chocolate, cinnamon, and chickpeas combine to create a spicy, delicious, and secretly healthy snack. With their bright flavor, these are great for a mid-morning snack! Not into nuts? Skip them with this recipe that uses black beans instead! For a more savory take, try this version made with sweet potato and a hint of spice. 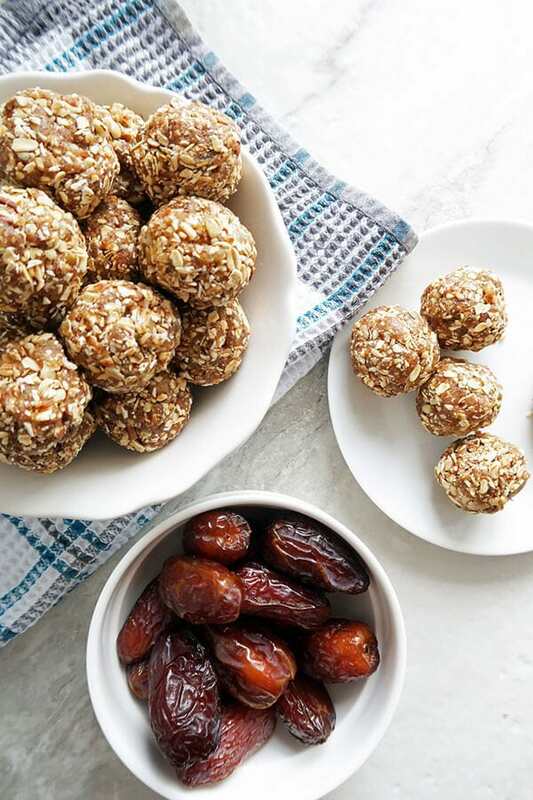 With a boost of protein from Greek yogurt and fiber from chia and flax seed, these mini power balls are a great healthy snack. Warming chai spices and a touch of espresso combine in this yummy recipe! 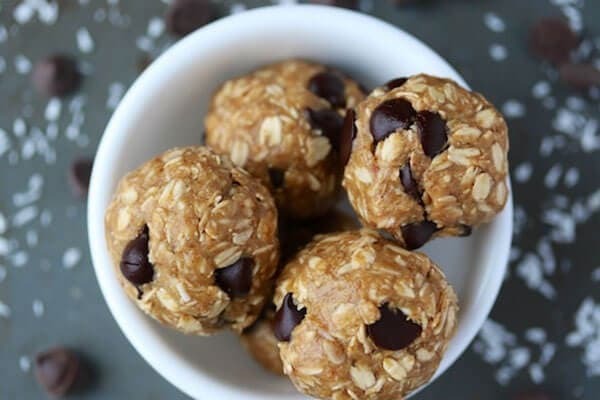 Swap out chocolate chips for butterscotch and you’ve got a new twist on the classic energy ball recipe! I love, like looooooooove red bean paste. 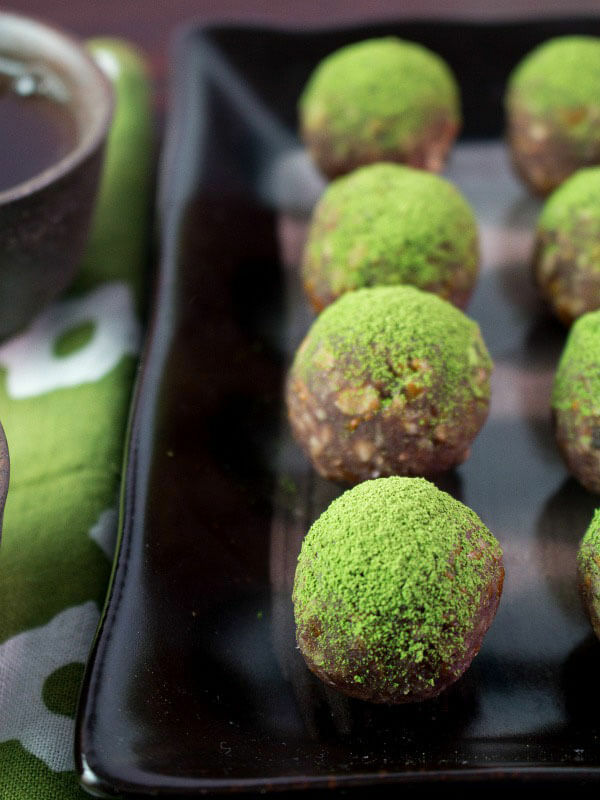 The sweetness of the red bean paste blends beautifully with the bitter matcha in this recipe. Delicious in the summer and perfect in colder months to remind you of the warm season! Homemade Lara Bar? Don’t mind if I do. Also, so perfect around Christmas. 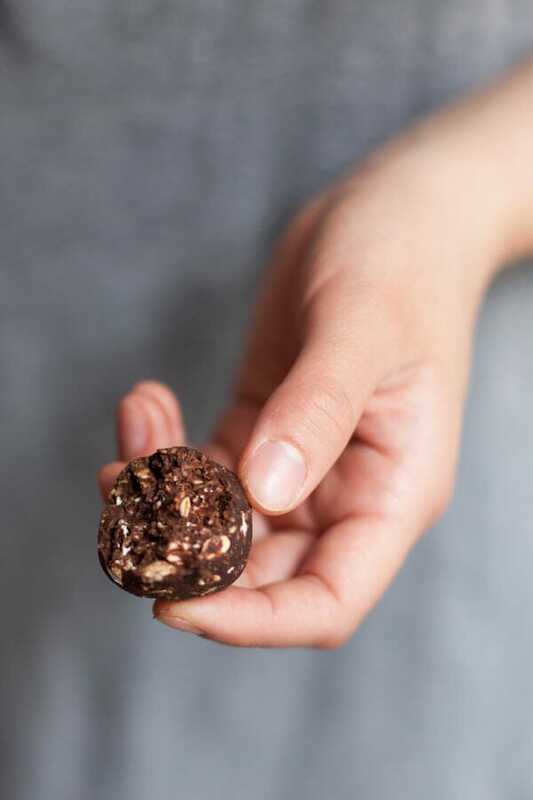 Crunchy quinoa and cacao nibs give these dark chocolate brownie bites a fantastic texture. But first, coffee. No. Chocolate. No, coffee. No need to choose – this recipe has both. 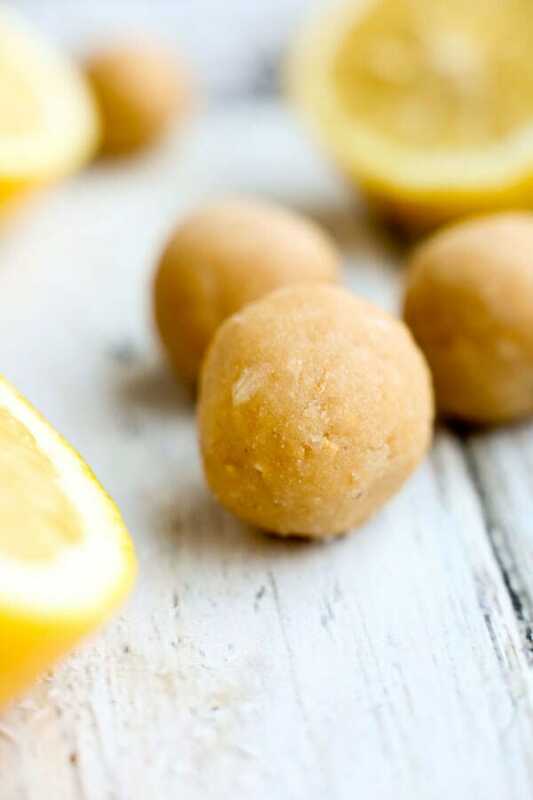 If you’re looking for an energy ball on the sweeter side, you’ll love these! As soon as I saw these, my jaw dropped. Somehow coating energy balls in chocolate just takes them to the next level for me. What a great roundup! My kids are always ravenous when they get home from school, so I’ll have to try out many of these! 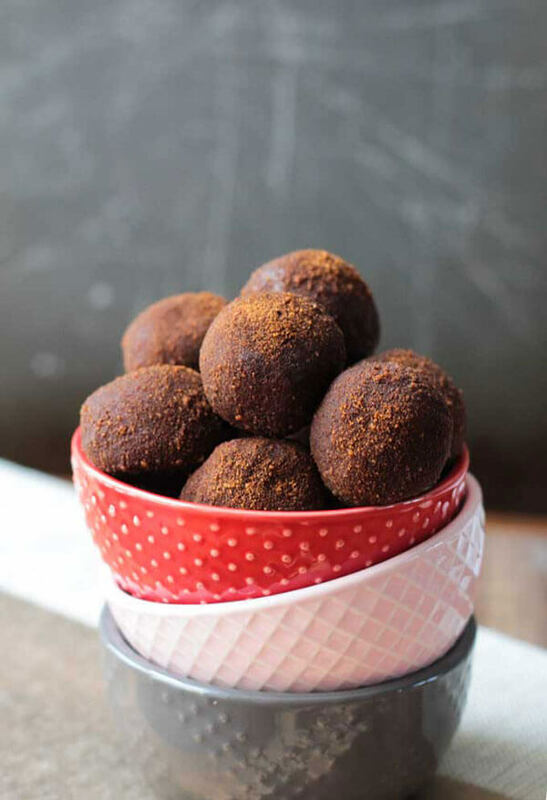 Thanks for including my Cinnamon Truffles! Wow! 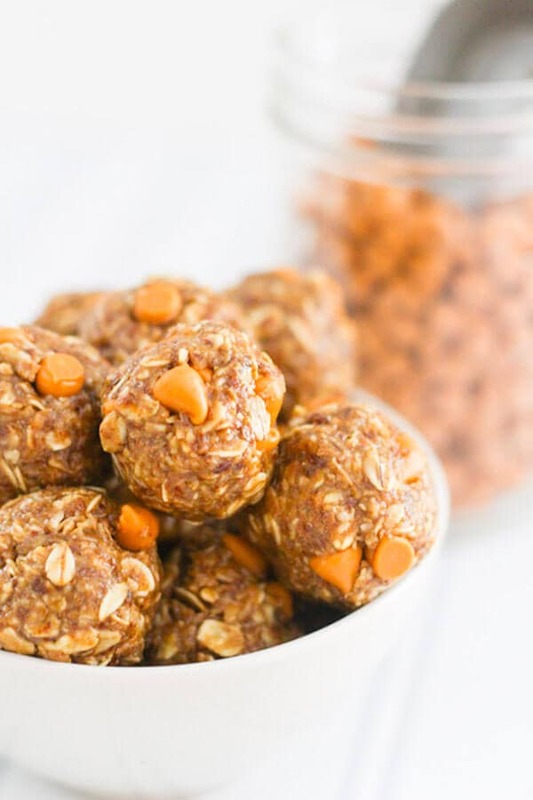 This is truly a comprehensive guide to making energy balls and I see several that I definitely want to make (ah. . .hello caramel peanut protein truffles). I’m always on the lookout for pre and post workout fuel options. Thank you! I wanted to help people learn how to make energy balls in whatever flavor they desired 🙂 And, those chocolate dipped ones look so amazing! I have my eyes on those chocolate almond balls, they look like chocolate truffles!! That chocolate truffle one is RIGHT up my alley! I know! Mine too! I can’t figure out which one I want to make next. Mmmm. So many options to try here! thinking will start with the peanut butter…. Lots of helpful information leading up to some really good no bake energy balls. I want to make them all. 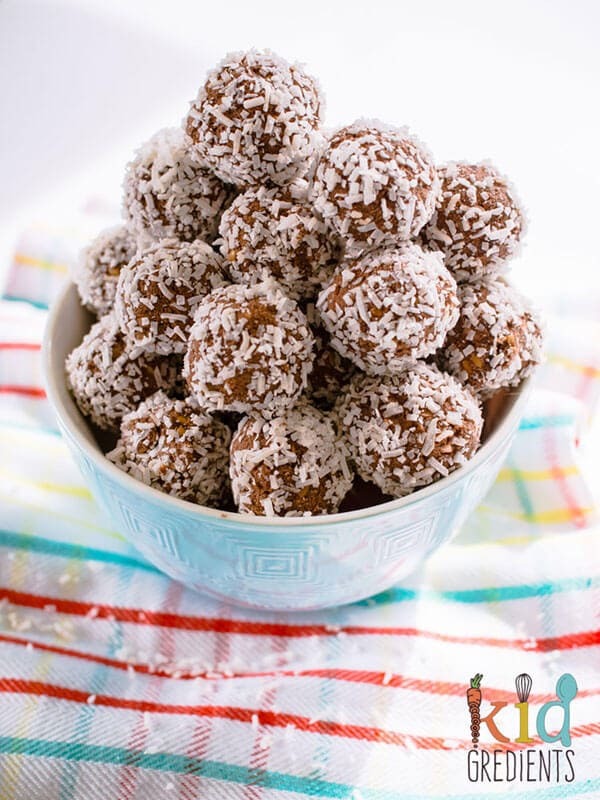 What a great post, so many delicious looking energy balls. 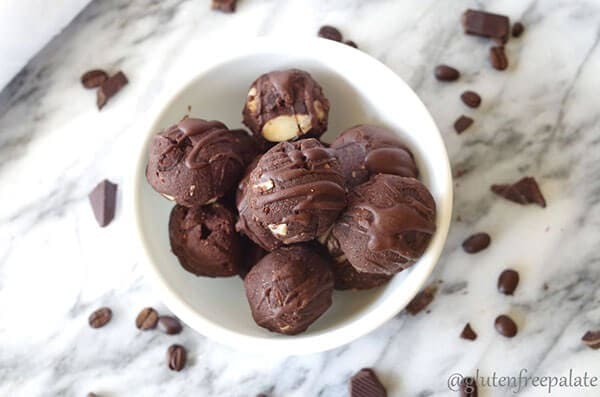 Thanks for including my no-bake brownie bites! 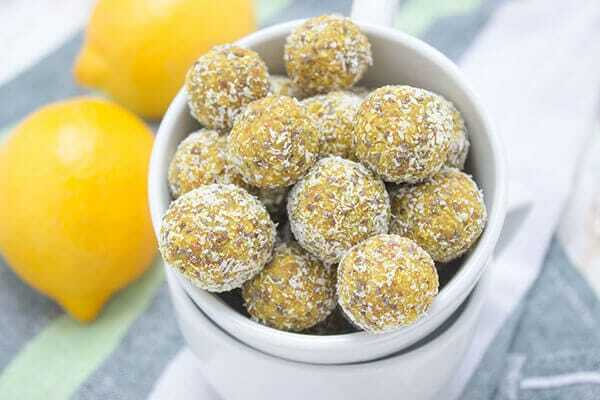 Thanks so much for including my apricot energy balls! Love all these little bites of goodness.